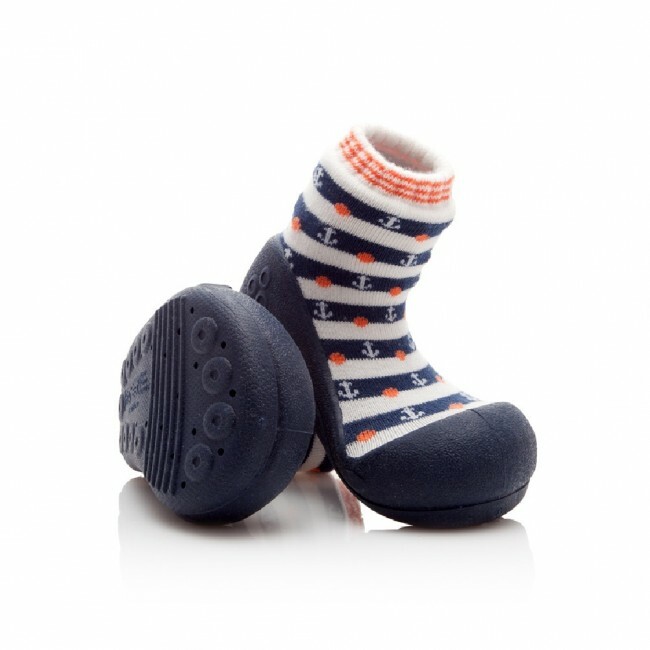 These navy blue sailor baby shoes from the nautical collection are the perfect choice for both little boys and girls. 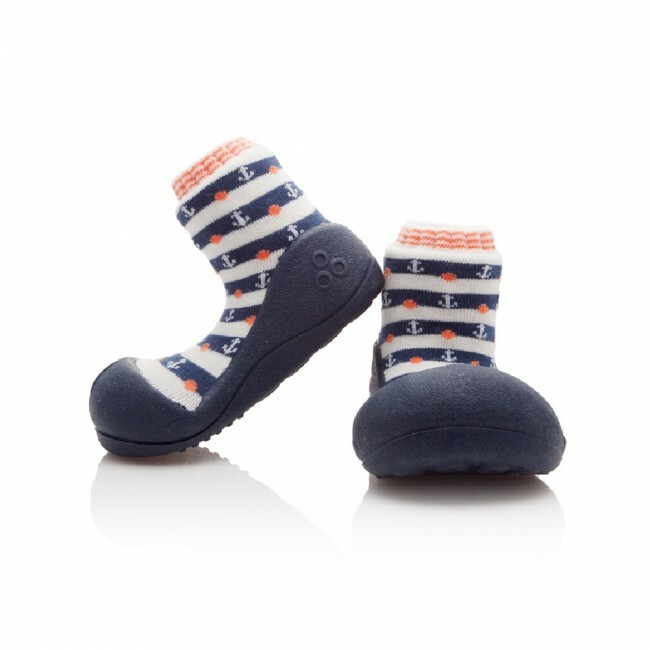 Choose the cutest baby beach shoes in size 1-5 for your little seafarer! 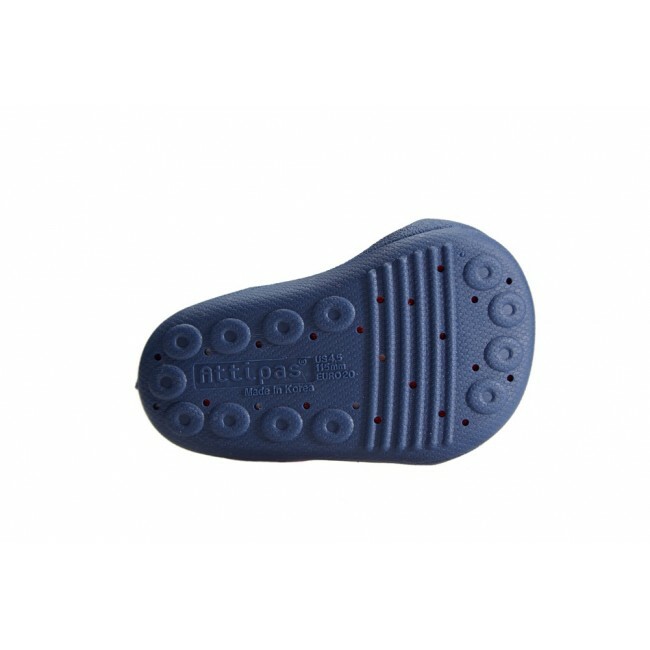 Whether you are looking for the perfect non-slip shoes for home or school, Attipas has you covered. The Attipas "Marine" collection features unsurpassed comfort, unwavering quality and thoughtful nautical designs. Thanks to the elasticised sock, shoes stay securely on foot no matter where they are worn.